Microsoft's cloud solution for IoT devices has left preview and is now open-source. 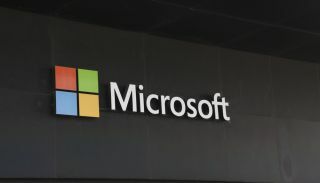 Microsoft has announced that Azure IoT Edge is exiting preview and its cloud solution for Internet of Things devices will be gaining support for new hardware devices, management services and developer tools. In May, the company decided to open-source its IoT Edge Runtime and now it is giving Azure IoT Edge the same treatment. Azure IoT Edge is now available on GitHub and integrates with Moby which supports containerisation, isolation and management features. In addition to Azure IoT Edge being open-sourced, Microsoft is also launching three complimentary services alongside it– device provisioning management (DPM), security manager and automatic device management (DPM). DPM gives administrators the ability to set up connected devices in the field and provision them all at the same time with the company claiming that theoretically “thousands” could be configured at once. On the security side, Azure IoT Edge security manager will make it possible for device manufacturers to implement the hardware security module of their choice. Additionally, automatic device management (ADM) will allow users to deploy Azure IoT edge modules to devices over the air. Microsoft is also expanding the number of programming languages supported in module software development kits and introducing tooling for Visual Studio Code. Developers will be able to code, test and debug Azure IoT Edge modules from within Visual Studio and use Visual Studio Team Services to collaborate with other contributors. The Azure Certified for IoT program is even being expanded to certify features such as device management and security.